“The Devil’s Fire” is now available on Amazon! 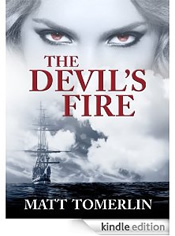 “The Devil’s Fire” is finally available on the Amazon Kindle store! Anyone with a Kindle, iPad, iPhone, Android or anything that runs Kindle viewer may now purchase the book. May also be read on PC or Mac. Google Chrome has a Kindle reader!